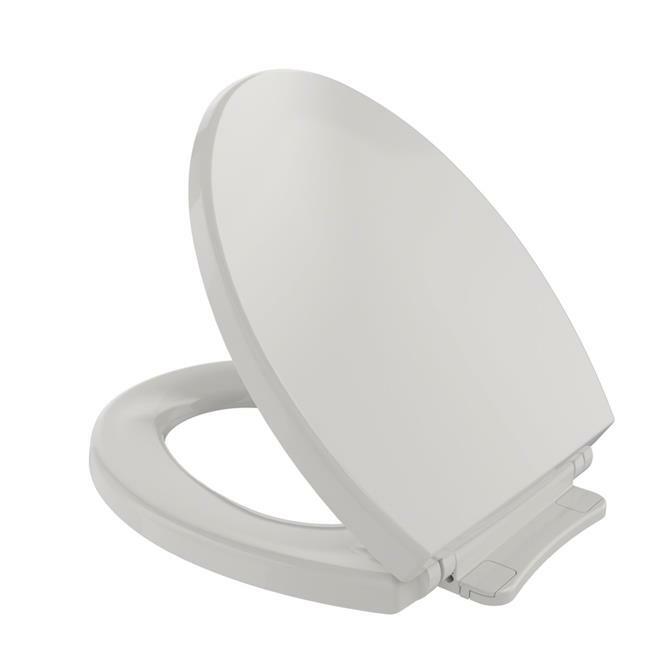 Toto SoftClose Non Slamming, Slow Close Round Toilet Seat and Lid is the latest in innovative smart seat technology. Constructed of solid, High-Impact Plastic, this unique seat is specifically designed to reduce injury and to eliminate annoying Toilet Seat Slam. The seat and lid utilize a built-in SoftClose hinge system, which lowers the seat and lid down to the bowl gently and quietly. The engineering of SoftClose incorporates Totos high standard of quality and consumer ease. Top tightening mounting bolts ensure easy installation. All mounting and installation hardware for the SoftClose seat is included, along with easy to follow installation instructions and care and maintenance guidelines.